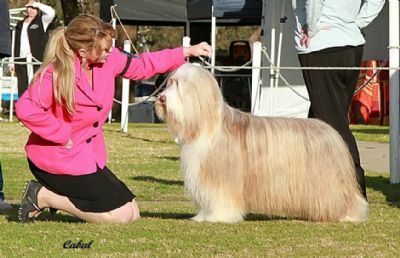 breeding world class quality Bearded Collies. to the 'Breed Standard' but that are sound in both mind and body! subsequently awarded them based solely on their merits! Bearded Collie breeders should see themselves as guardians of this beautiful breed and as such, we must endeavour to preserve those characteristics which define our breed. 'Edinglen' has bred 8 litters and we are proud of our achievements! Our Beardies are fed and conditioned exclusively on this amazing product! Click on the logo above for more information about this wonderful product!